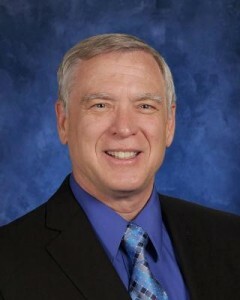 Dr. Bill Johnson has served as Superintendent of the Laveen Elementary School District since 2011. Dr. Johnson worked for several years in the private sector before working in public education. His professional experience includes working as a Project Engineer and as a Project Manager on a variety of construction projects including heavy civil, industrial, and institutional facilities. He is a registered architect and has worked as a consultant in facility planning, land acquisition, design, construction claims resolution, and market research. His career in public education began about 20 years ago when the then Superintendent of the Alhambra School District and former President and CEO of the Rodel Foundation, Dr. Carol G. Peck, encouraged him to apply for a position within the school district. Bill had been serving Alhambra as a consultant for its bond-building program. He accepted the position and worked as Alhambra’s Director of Operations for seven years. He was recruited by the Scottsdale School District to serve as its Assistant Superintendent of Operations where he managed an annual department budget of over $20 million and bond programs totaling more than $300 million. In 2005 he joined Laveen as Associate Superintendent of Business and Operations. The Governing Board selected Dr. Johnson as the Superintendent of Laveen Elementary School District in April 2011. Dr. Johnson earned a doctoral degree and a master’s degree in educational supervision and administration at ASU. He received his bachelor’s degree in construction from the College of Engineering at Arizona State University (ASU) in 1980. Dr. Johnson received the 2013 Spirit of South Mountain Award from the Chamber of Commerce for his community service and work in education. He is a member of the Laveen Lions Club, the Laveen Art League, and is a co-sponsor of the Rock Climbing Club at Cheatham Elementary School. In 2006, he was awarded the Silver Beaver Award by the Boy Scouts of America for distinguished service to youth. Dr. Johnson has served in several advisory positions including the strategic planning committee for the United States Postal Service Facilities Department and the technical advisory committee and the alternative construction delivery methods rules committee for the Arizona School Facilities Board. In 2009, he was appointed by Governor Jan Brewer and confirmed by the Arizona State Senate to serve a three-year term as a member of the Arizona School Facilities Board.